Experience the wonder that surrounded the Savior’s birth at this free Christmas event featuring a live nativity, spectacular lights displays, and more! 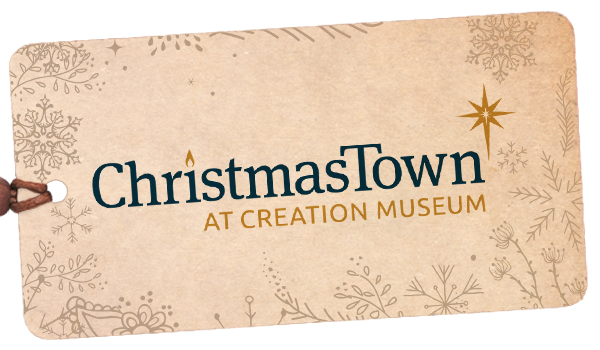 ChristmasTown runs from 5:00 to 8:30 p.m. every night, November 29 through December 30, 2019, in addition to the museum’s regular hours from 10:00 a.m. Closed Christmas Eve and Christmas Day. We are working on the details for this event. Check back for more information. 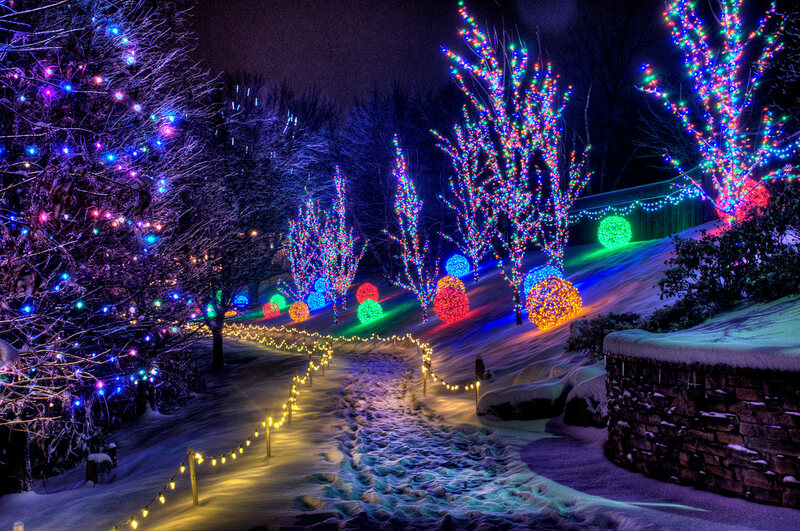 Stroll through the museum’s botanical gardens amid the breathtaking display of thousands of multi-colored lights. Each year, we add new designs and more color throughout the garden trails so your experience is never the same! 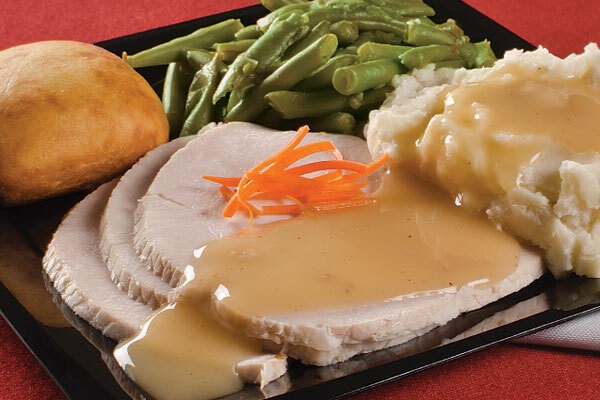 Noah’s Café will once again be offering a special turkey dinner that is only available during this time of the year. Enjoy an amazing view of the lights while dining on our deck that is now heated and enclosed. Our delicious food will warm you up on a crisp night! 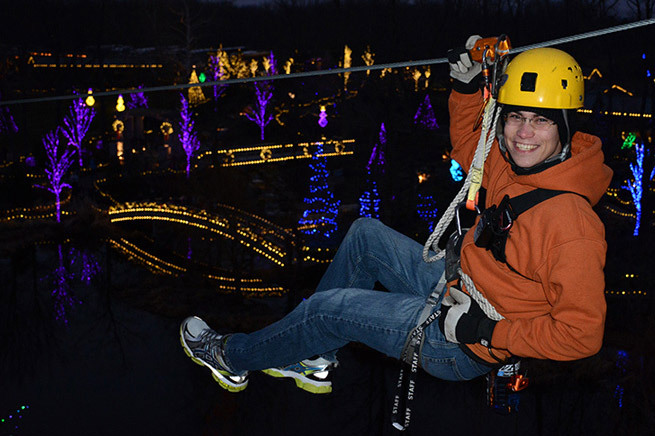 Get a bird’s-eye view of the colorful lights as you soar down the Screaming Raptor Zip Lines. During ChristmasTown you can zip down three lines, which takes under one hour to complete. *Closed Christmas Eve and Christmas Day. 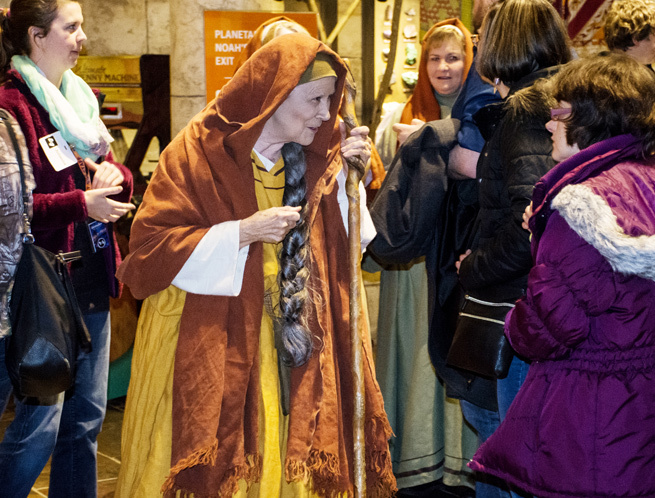 Step back in time as you view a realistic recreation of the events surrounding the night of our Savior’s birth. Reflect on the true meaning of Christmas as you watch Mary and Joseph with baby Jesus. 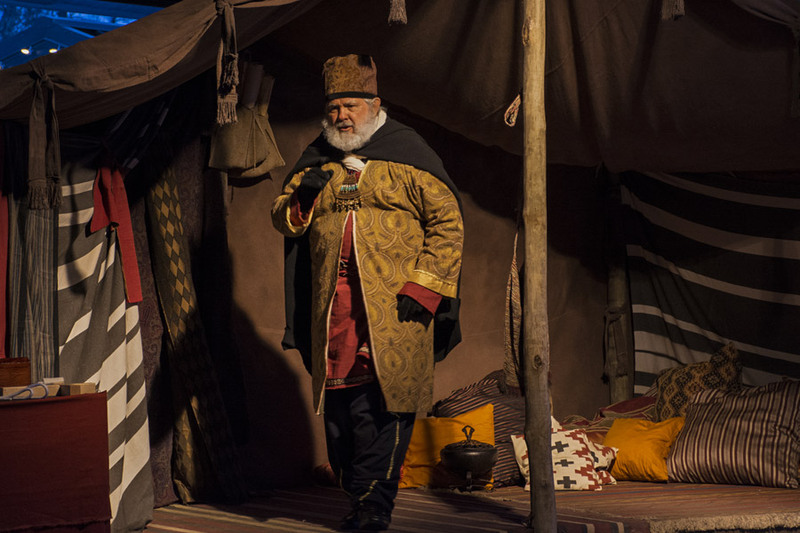 As you walk through the Garden of Lights, you’ll also encounter one of the Magi, a wise man who journeyed to Bethlehem to see “the one who [was] born King of the Jews” and learn of his amazing journey. 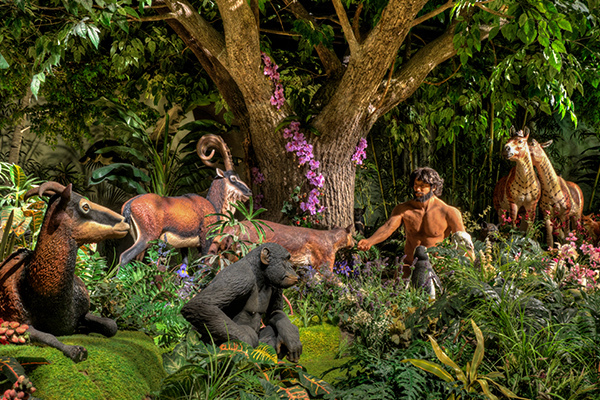 Keep an eye out for biblical characters such as the shepherds roaming the Garden of Lights and telling about their connection with the birth of Christ. 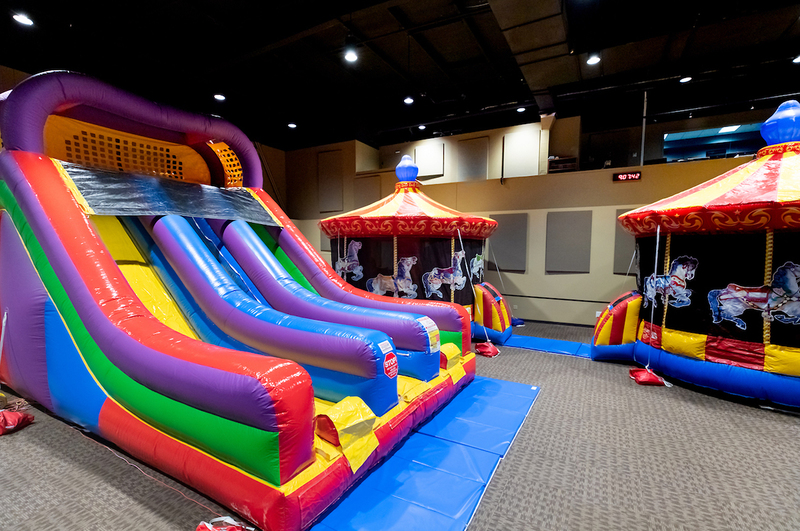 A new addition to this year’s event is a special children’s Fun Zone, which features an inflatable slide and bounce houses, located inside Legacy Hall. Get access to this area by taking advantage of our special pricing after 5 p.m.! Visit on a weekday for fewer crowds. Arrive early to get a better parking spot, and carpool if possible. Dress in layers. It can get quite cold in northern Kentucky. 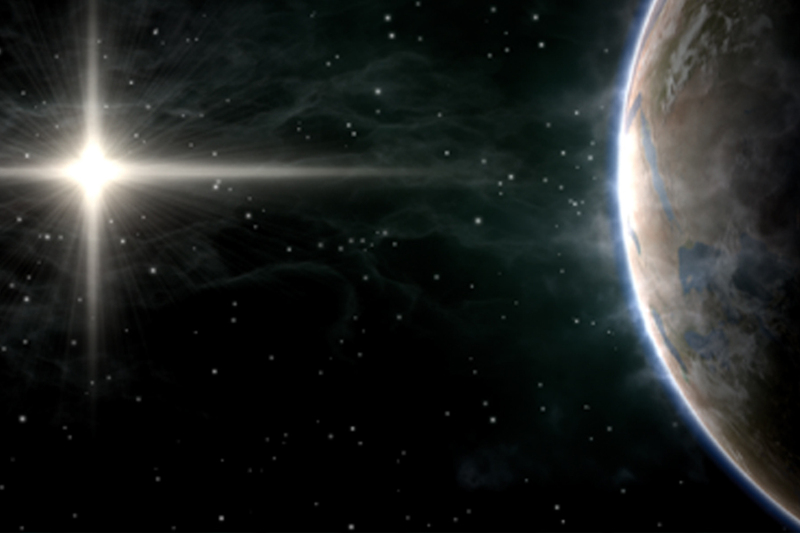 Learn about the mysterious “star in the east” that heralded the birth of Jesus and guided the wise men to Him in this planetarium show. Join us for this new look at an intriguing part of the Christmas season. After viewing the free lights and nativity, warm up touring the museum exhibits and learn how God’s Word makes sense of our world, and do some Christmas shopping in the bookstore. Bring the family to celebrate ChristmasTime at the Ark Encounter! See the life-size ark in rainbow-colored lights, glide across the skating rink, enjoy a Christmas buffet, shop for unique gifts, meet adorable zoo animals, and more!